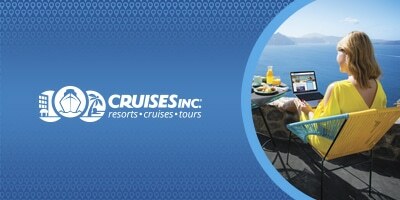 Let your love for travel become your business with Cruises Inc. Learn how being an Independent Vacation Specialist really is as fun as it sounds. Our unique work-at-home business opportunity lets you earn commissions for selling exciting cruises, tours and resort vacations! By joining our family you’ll have the backing of an award-winning company with over 37 years of experience and an A+ rating with the Better Business Bureau. No experience in the travel industry? No problem! We will always have your back with full training provided and our amazing support team that is available to you 6 days-a-week! Let this be the beginning of your journey as an Independent Vacation Specialist with Cruises Inc.